I wonder if anyone recognises where this is? It’s the panelling along a train platform. 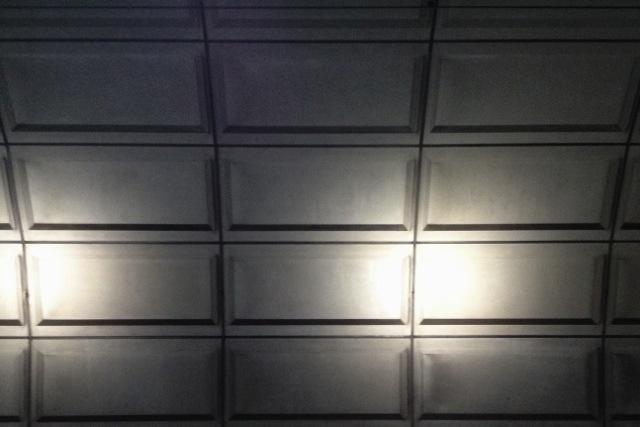 It’s uniform and superficially quite dull, but the angle of the lighting provides an unusual optical illusion in which it becomes difficult to determine whether the inset panel centres are indeed inset or outset. Unfortunately, it doesn’t really come across terribly well in this photo! This 1,893rd post was filed under: Photo-a-day 2012.